I hope you enjoyed the event today. All the online weather websites predicted rain on both days of the weekend. Fortunately, they were wrong and although it did start to rain towards the end of putting out controls on the Saturday, the weather was glorious today, This led to a good turnout, with lots of extra map printing going on out of the back of Alan’s car. I agreed to plan the event at quite short notice, so it has been quite a lot of work compressed into a couple of months. Fortunately, Julia Paul had agreed to update the map, so that I could concentrate on the courses. This worked really well, from my perspective, as any areas of the map that I thought needed attention Julia made the appropriate changes. Julia has got the bit between her teeth and is going to continue updating the map prior to Sandringham hosting the Yvette Baker Trophy Final in July. I would like to extend a big thanks to Julia. Stephen Searle controlled the first event I ever planned, so I knew that it would be a pleasure to work with him. He has a very collaborative approach, and after I had sketched out outlines of the white and yellow courses, we walked the courses together, amending them into what we used today. Although we didn’t really have any issues he seems to be completely unflappable. Thanks, Stephen. I wanted to use a different start from the last couple of events, but soon realised why previous planners have tended to use the area to the west of the overlow car park. 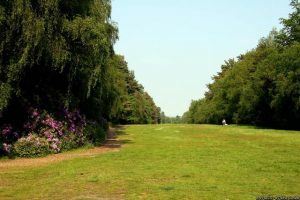 In many places, the path network at Sandringham is too complex for a white course, for which every decision point requires a control. In the end, we found a route, but still needed to reduce the size of the control circles to prevent them overlapping. Having sorted out the white & yellow courses, it was a question of how to use the area most effectively for the longer courses. At the beginning of October, the bracken was really thick and high in the south, which provides some of the best terrain. We decided to gamble on it dying back enough to be usable, which I think proved to be a good decision. People did comment on it being tough going, but honestly it has died back significantly, even in the last week. As Sandringham is so long and thin (north to south), even then it was only possible to get the blue and brown courses into the area. It was interesting that I received a number of comments about how people enjoyed the fact that there were relatively few controls on the courses, particularly Short Green and Green. Having planned on places like Swaffham Heath, there is a tendency to put in lots of short legs to try and keep people off the paths. Sandringham allows you to plan differently, so I am glad that at least some of you appreciated it. The control that I receieved most complaints about was #8 (215) on the blue course. When I was putting out controls on the Saturday, I approached from the 5 pits just south of east. I have to admit that I noticed that there seemed to be another similar earth bank about 20m to the east of the one in which the control was placed. This must have been covered in bracken when I was finding control sites, as I had never noticed it before. It is possible that this earth bank is the one mapped, I would have to go back and re-take bearings off the depression. I guess that the map needs updating, and maybe using the earthbank symbol is not the best way to represent it. It is also possible that it was just a harder control than we are used to in East Anglia. Finally thanks to the people who stayed on to collect controls. Apologies to Alan Spidy who waited only to find that all the controls to collect had been allocated. I’ve got a feeling that I might have done this to Alan before. If so, I am doubly sorry, Alan. I trust you all enjoyed your day’s orienteering in the Norfolk December sunshine, and its blue skies. Jonathan’s courses were deserving of the unexpected numbers that attended the event. I thoroughly enjoy controlling events and find it therapeutic as you walk through the woods visiting control sites and discussing possible routes to be taken. It is probably the reason why I enjoy orienteering so much. One of the few concerns for this event was the weather forecast in the days leading up to the event, but in the end it was fine, being dry at the right time of the day on the Saturday and Sunday for putting out the controls. 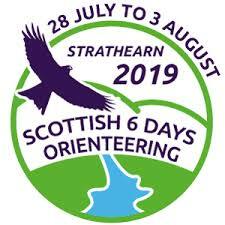 We even had some blue sky on the Sunday for the orienteering, with the temperature ideal for running. A timetable was agreed early once the planner, mapper, organiser and controller had been appointed, with the key dates being met on time, which takes the stress away when controlling an event. Even the risk assessment was produced early. Regarding the control with the most complaints #8 (215). When checking control tag and control flag I had little problem locating the control site but that could be because of my previous acquaintance with the terrain. An area of the map that I am sure Julia will check and update as necessary for the Yvette Baker Trophy Final in July next year. Congratulations to all the winners and also thanks to all the volunteers. And thanks to Jonathan for his kind words, most appreciated, it was a pleasure to work with him. May your runs in the woods be faultless. 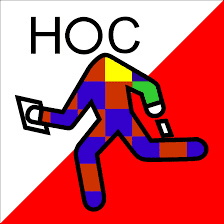 Norfolk Orienteering Club (NOR) has around 200 members and seeks to promote the sport of orienteering in and around the county of Norfolk. Come along to an event and give it a try. All events are open to the public. 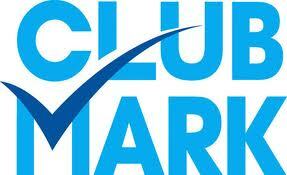 NOR has been a Clubmark accredited club since 2013. If you would like to know more, go to the Newcomers section on the main menu. Contact details of committee members are available here or you can send a general enquiry from the Contact Us page. Full details about how to join the club are here. There are many ways to keep up-to-date on the results as and when they happen over the Easter weekend. Thousands are set to travel to Southern England for the Jan Kjellström International Festival of Orienteering this Easter weekend (19 April to 22 April 2019). How are you planning to get involved and support World Orienteering Week?